Gene Hoglan is an absolute monster metal drummer, as fans of Testament, Death, Strapping Young Lad, Dethklok, Dark Angel and Fear Factory, among others, can attest. The man is known as the Atomic Clock for his inimitable, machine-like precision double-bass, thunderous fills, perfect meter and never-ending endurance. 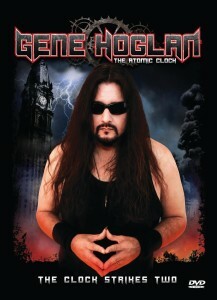 In his new DVD, “The Atomic Clock: The Clock Strikes Two,” which will be released on Feb. 3, Hoglan shares stories, performs along to classic tracks, gives advice and breaks down parts of songs. He’s extremely affable, and the video is engaging, informative and entertaining. “The Clock Strikes Two” also includes testimonials and tour stories from peers including Testament’s Chuck Billy, Alex Skolnick and Eric Peterson, and Anthrax’s Scott Ian and Frank Bello. Take note: While drummers will devour the playthroughs and breakdowns, “The Clock Strikes Two” also appeals to non-drummer Hoglan fans. He shares some great stories about his career, and watching the man at his craft is impressive no matter what instrument you play, if any. Even his technical explanations of his parts can be understood by the layman. 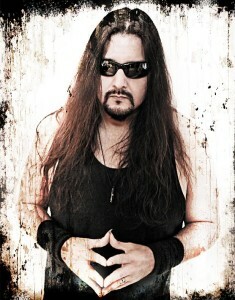 You can catch Gene Hoglan on tour with Testament at the Starland Ballroom in Sayreville on April 20. We recently had the pleasure of speaking to Hoglan by phone from his California home. Your DVD is a must for metal drummers but it’s also interesting and accessible to non-drummers or even non-musicians. Is that something you set out to do? Definitely. If you’re not a musician you don’t have to view it as being an instructional DVD. Hopefully the stories are interesting and it’s a fun couple of hours. I wanted to make it technical enough for a drum guy but also cool for a non-drummer or a metal fan. What I hope people come away with is that it’s two hours well spent. How did you decide which parts of the songs to break down? I tried to come up with the signature part of the song. It was a new challenge slowing down the parts. It’s not easy after you get muscle memory going on a song and then having to take that muscle memory and pour molasses over it. Every single part I had to relearn at slow speed right then and there. We had a million things to do and not a lot of time. That’s part of the fun. You talk about being very calm when you play your most difficult parts, almost Zen-like. Is it difficult not to go crazy when you’re playing such aggressive music? There’s a lots of songs where I get to bang my head and go crazy. Admittedly those are the easier, more straightforward ones. But when you’re playing crazy parts and hauling double bass an economy of motion allows you to keep your energy extremely high. I equate it to the attitude of a sniper. They calm their breathing, they calm their heartrate, and for me I’ve found that’s a pretty effective approach for a full slaughtering of the drums. You talk about how playing air drums helped you develop as a drummer. Every time I would air drum to one of my favorite bands, Rush, Pat Travers, Kiss, whomever, I was giving myself a lesson. Even if you’re not playing on a kit, you’re figuring out what the drummer’s hands are doing and what their feet are doing. You don’t need a set to practice or think of ideas. I say that drumming is 90 percent mental and 10 percent physical. I can create beats by tapping my fingers or get an idea by playing along to a Rush album in my head. I learned the concept of visualization. You can always work on your instrument. You’re known as the Atomic Clock, a human drum machine. But the DVD shows the organic side of your drumming. I’m a human being and a human drummer! I try to provide a peak behind the curtain. I try to put forth that if I can do this anybody can. People tell me it’s not that simple, that I can’t have that philosophy about it. But I’m just an average dude. Maybe because I’m not a schooled drummer. I’ve never taken a lesson. I had to teach myself everything and learn about drums as I was growing up. My friends would be talking about quarter notes and paradiddles. I didn’t know what they were. It takes a lot of work and effort but it’s not impossible.